I bought a new ukulele! It’s a Kala soprano pineapple KA-P and it is wonderful! It sounds great and the smaller fretboard fits my hands nicely. 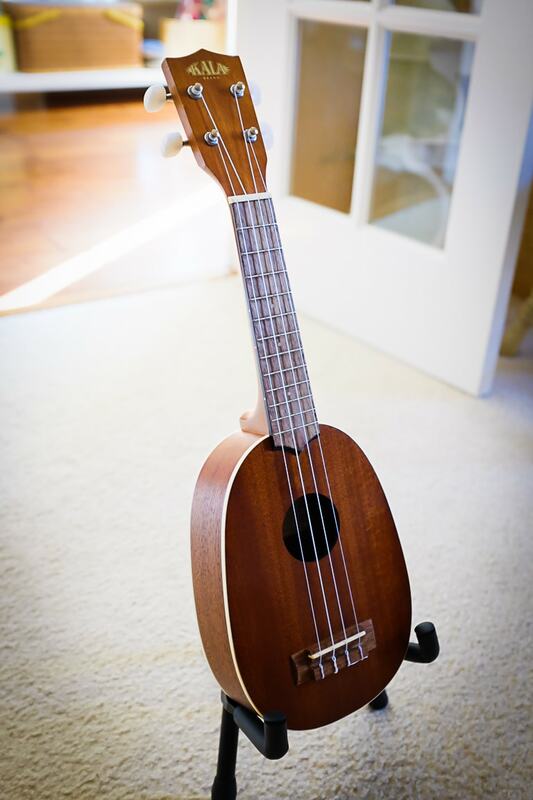 The soprano is the traditional size for a ukulele, and the pineapple shape is also a classic look. What I really love about the Kala is that it has cream-colored binding around the body which gives it a clean look and accentuates the pineapple shape. Pair that with the included white Aquila Nylgut strings, and you have a great-looking ukulele!